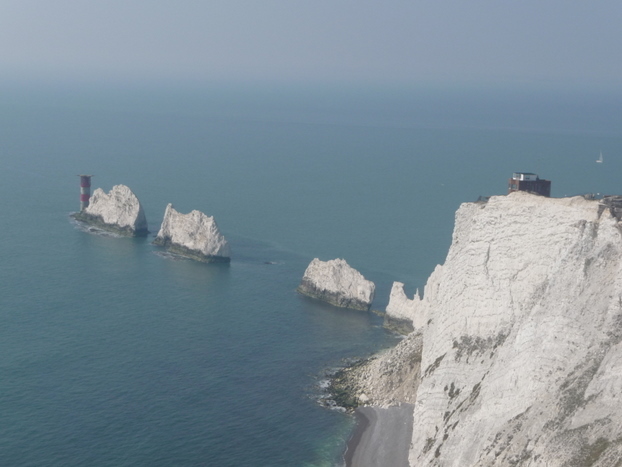 On top of the cliff to the right can be seen the buildings of SZ2984 : The Needles: Needles Old Battery. Beyond, we see the famous stacks and the lighthouse. In clearer weather, we would also see the Dorset and Hampshire coastline in the distance, but not today. This page has been viewed about 176 times.